352 pages | 32 B/W Illus. In an era of dwindling fiscal support for public schools, increasing federal mandates, and additional local budget requirements, educational leaders must be able to articulate sound finance theory and application. Designed for aspiring school leaders, this text presents the realities of school finance policy and issues, as well as the tools for formulating and managing school budgets. The authors move beyond coverage found in other texts by providing critical analysis and unique chapters on misconceptions about school finance; fiscal capacity, fiscal effort, adequacy, and efficiency; demographic issues; and spending and student achievement. Examining local, state, and federal education spending, this text gives readers the foundation to understand school finance and knowledgeably educate colleagues, parents, and other stakeholders about its big-picture issues, facts, and trends. 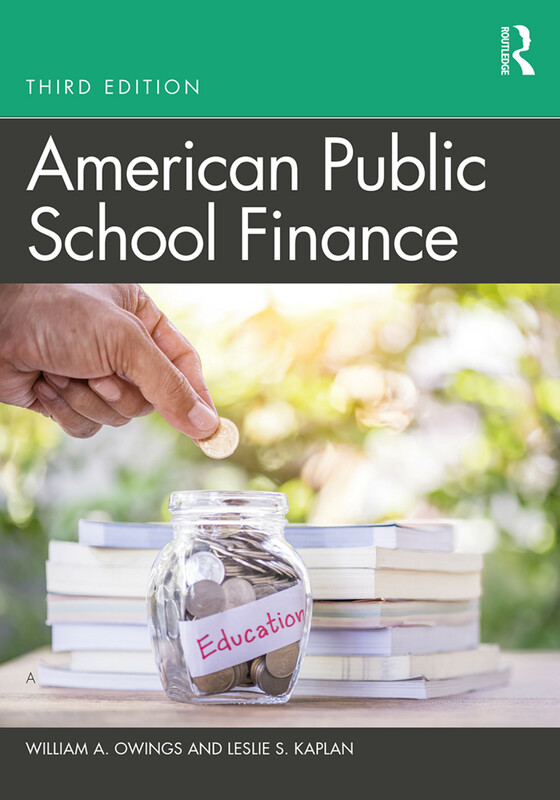 The new edition of American Public School Finance will help educational leaders at all stages of their careers become informed advocates for education finance practice and reform. Advanced pedagogical features such as connections to the latest Professional Standards for Educational Leaders (PSEL), Focus Questions, Case Studies, and Chapter Questions/Assignments. Complementary electronic resources designed to deepen and extend the topics in each chapter and to provide instructors with lecture slides and other teaching strategies. The 3rd edition of American Public School Finance builds on the previous two editions and provides up-to-date information and statistics on current topics and issues. The focus questions, case studies, and chapter questions/assignments provide instructors with resources to teach and assess student understanding of key concepts and information. Most important, Owings and Kaplan write in a style that is scholarly, but that graduate students in school leadership can understand and emulate. Finally, this new edition coordinates the chapter content with the ten Professional Standards for Educational Leaders (PSEL) making it easier for professors to map their course content and key assessments to the standards. William A. Owings has been a teacher, principal, assistant superintendent, and superintendent of schools. He serves on the editorial advisory board of the Journal of Education Finance and is Professor of Educational Leadership at Old Dominion University, USA. Leslie S. Kaplan has been a teacher, school counselor, and is now a retired school and district level administrator and full-time education writer. She also serves on the editorial board of the National Association for Secondary School Principals Bulletin.